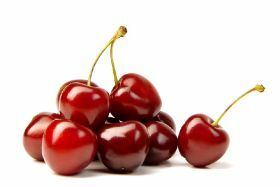 A US Department of Agriculture (USDA) GAIN report on Chilean cherries has found that exports hit a new high of 184,741 tonnes in 2017/18, as planted area continues to increase in the country. The report, prepared by agricultural specialist Sergio Gonzalez, showed that exports jumped 94 per cent on the previous year's 95,392 tonnes, bringing in US$793.4m. It was also a record year for production, with volumes coming in at 205,741, from a planted area of 31,134ha. Exports make up 88 per cent of total production. China is the leading market for Chilean cherries, importing 156,497 tonnes or 85 per cent of total exports in 2017/18, followed by the US with 7,609 tonnes and Taiwan with 3,370 tonnes. Looking ahead, the USDA report said production could grow to 290,000 tonnes in 2018/19 due to increased planted area, while exports should remain stable. 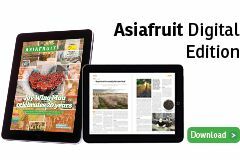 Excellent climatic conditions in the country's key growing regions mean that Chilean peach and nectarine production rose from 145,000 tonnes in 2016/17 to 158,285 tonnes. Exports climbed 11 per cent in 2017/18 to 97,285 tonnes, with the US (37,906 tonnes) and China (15,384 tonnes) the top importers. For 2018/19, the USDA said that volumes are set to fall back to 150,000 tonnes, with exports dropping to 90,000 tonnes.